In 2005, Jan Stevens established her Bowen Island home as what is now a popular waterfront vacation rental, the Lazy Bowen Hideaway. 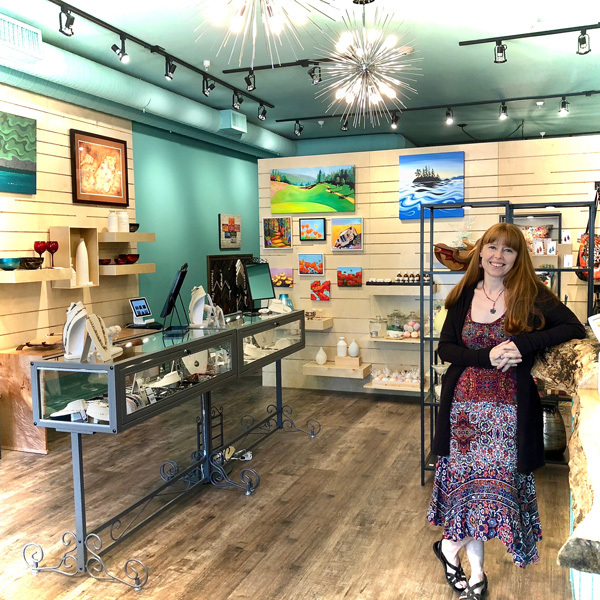 Her vacation rental business expanded in 2013 after she began to manage additional properties, and that is when Bowen Island Accommodations was created. 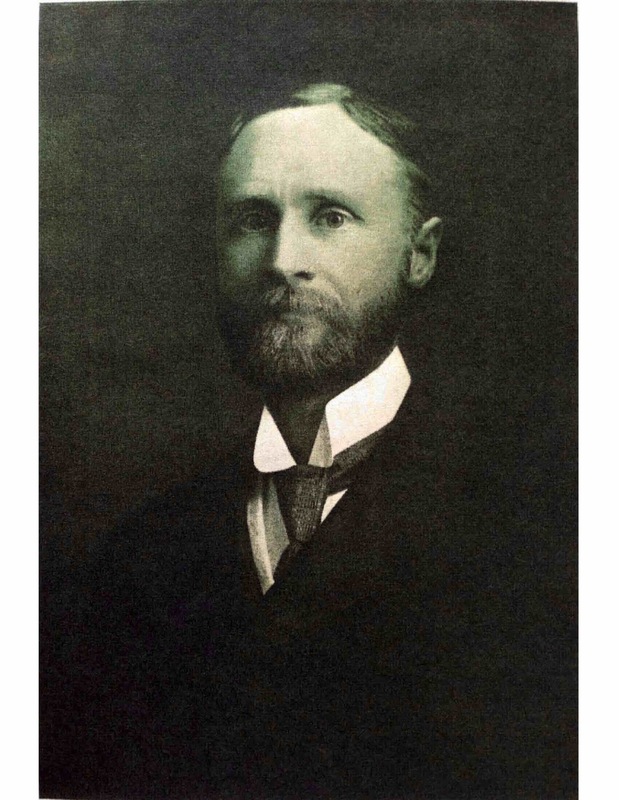 The first property owner Jan connected with was Charles McNeill from New York. 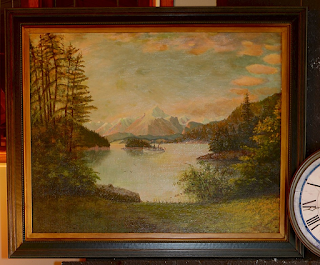 How she met Charles, the owner of the Eastman Waterfront Retreat and the Eastman Waterfront Cottage, begins with a mysterious antique oil painting that is nearly 100 years old. In 2006, while Jan was still working as an interior designer in Nevada (her other home turf) a sales rep visited. Eventually, Jan’s conversation with Lori Conway progressed to a discussion about Bowen Island and the Lazy Bowen Hideaway. Bowen Island struck a chord with Lori. 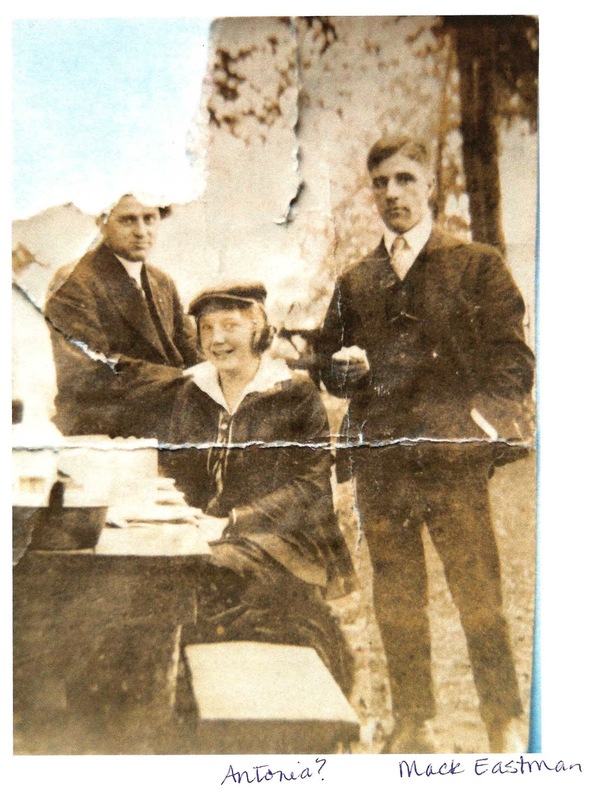 She recalled that her Great-Grandfather Thomas Talton Langlois developed property on Bowen Island in the early 1900s. Where on Bowen she didn’t know exactly. 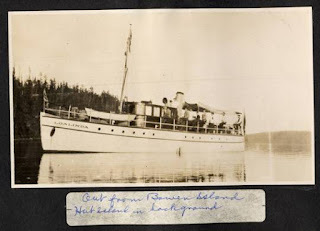 Lori brought in some old Langlois photos and Jan recognized the names of these early island settlers, as many Bowen roads had been named after them. At this point during their visit, history and eventually mystery came alive when Lori spoke of a Bowen painting that was hanging in her mother’s New Mexico home garage. 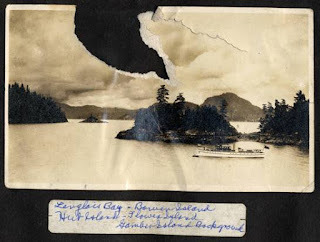 Thomas had so loved Bowen Island that he commissioned a Bowen artist to paint a landscape of his waterfront property, which he named Langlois Bay. 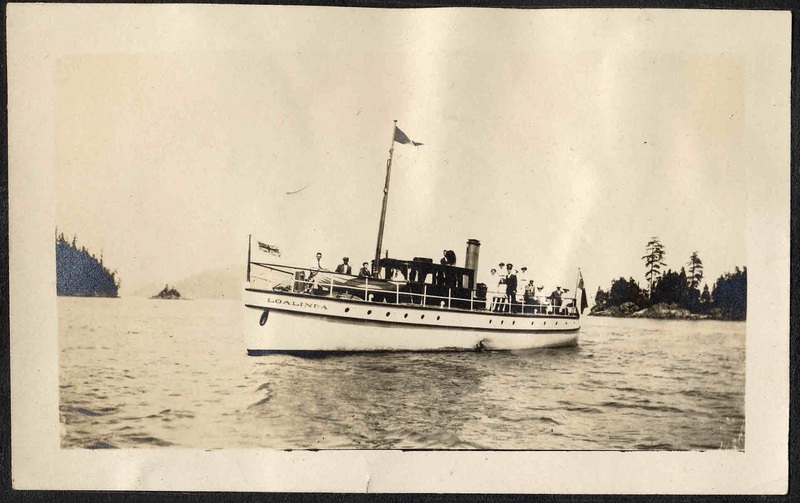 The artist, whose name was not known to Lori or her mother, portrayed Thomas’ yacht in the distance, the Loalinda. Maybe the landscape would reveal where Thomas had settled on Bowen? 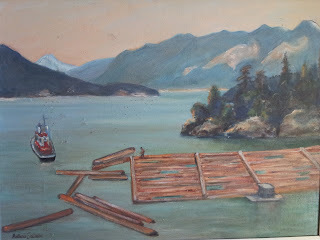 Upon learning that Jan had a connection with Bowen Island, Lori’s mom gifted the painting to her. Sight unseen, this piece of historic Bowen art was shipped from New Mexico back home to Bowen. After opening the package, Jan found it to be perfectly suited, and mounted it above her fireplace in the Lazy Bowen Hideaway. It was a picture-perfect focal point to share with her guests. 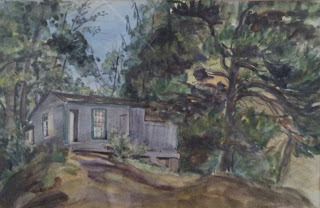 This painting was also the focal point of two intriguing questions, launching a series of events that soon threaded mystery into Jan’s connection with Bowen. 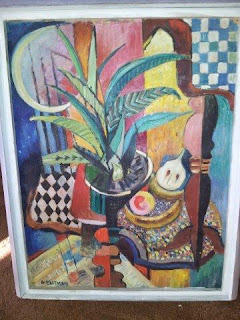 The artist was still unknown to her, the signature on the painting unclear. But something else had aroused Jan’s curiosity: there is no place on Bowen called Langlois Bay. Jan and her son Akira were determined to uncover the truth. One summer, they visited all the waterfront viewpoints they could, yet failed to locate a view that matched the Langlois Bay painting. 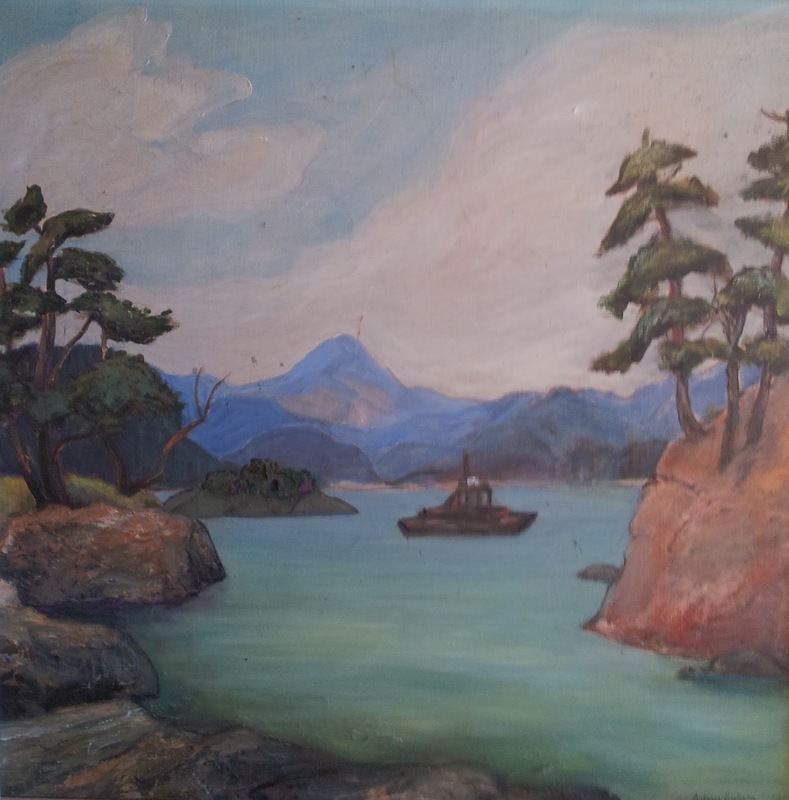 They concluded that the artist had simply considered the best of Bowen and all surrounding views to create the painting. After returning to Bowen the following summer, Jan’s neighbours invited her to a party. Still enveloped by thoughts of the mysterious artist and the Langlois Bay painting, Jan eagerly chatted with a guest at the Atherton’s party about her search for answers. It was then that Jan and this guest dashed next door to the Lazy Bowen Hideaway to view the painting. Was he familiar with this Langlois Bay viewpoint? Yes! The next day, he took Jan by rowboat to the very spot, just north of the Mount Gardner Road government dock. To Jan’s delight, the view matched the painting. 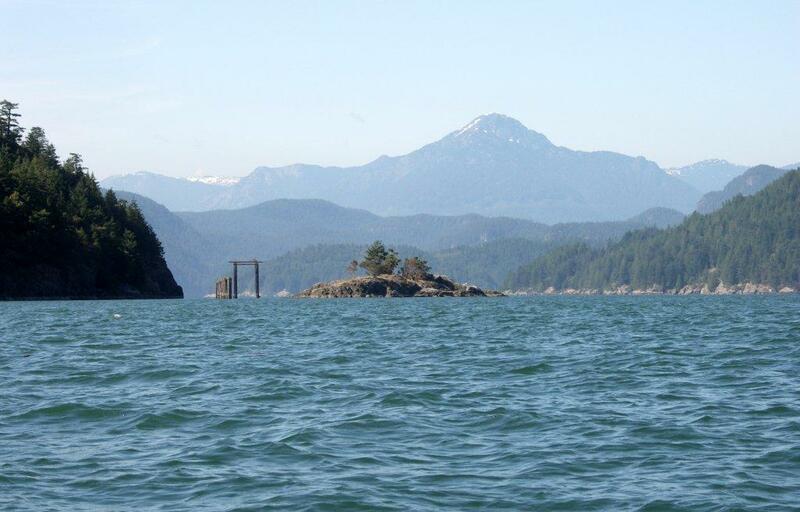 There was little Flower Island in the centre, Hutt Island on its left and Mount Garibaldi in the distance. 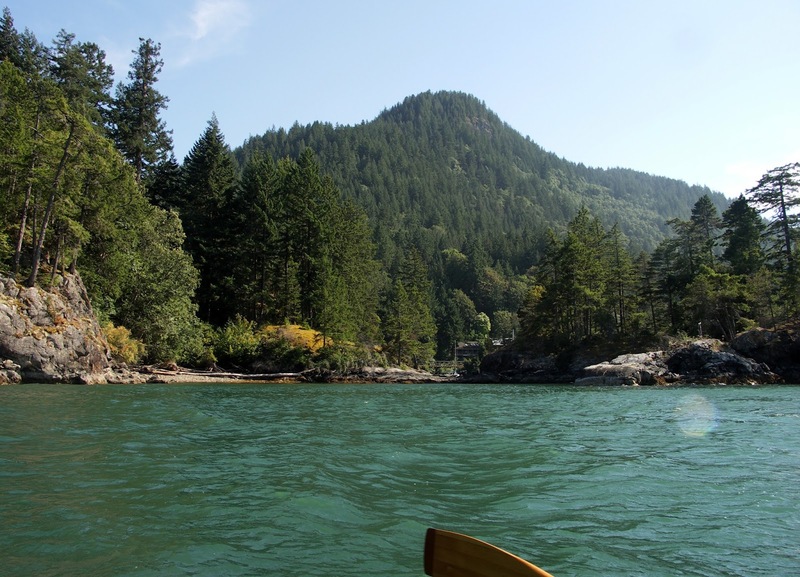 With that view in sight, and with turning back to look at the land, Jan had finally discovered Bowen Island’s Langlois Bay. Langlois Bay with Mt. Gardner in the distance. But one answer continued to elude her: who was the Bowen Island artist that Thomas commissioned almost one hundred years ago? She’d never been able to decipher that signature. At that time, unbeknownst to Jan, her sleuthing had stirred up yet another fortuitous connection. A woman by the name of Linda Froese was researching her family history and did an internet search for the Langlois surname. She came across a blog post written by Jan about “A beautiful summer vacation on Bowen.” In this post, Jan had written about her newly acquired painting and that it was commissioned by Thomas Langlois. As luck would have it, Thomas was a cousin of Linda's grandmother, Alma! Linda contacted Jan to ask if the painting had a signature and offered that even if it wasn't signed, she had a strong hunch about who the artist was, and had even more information to share about the mystery of the Langlois Bay painting. As it turned out, Linda was related to Thomas and of course to Lori, who had given Jan the illustrious painting. 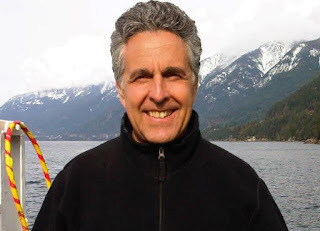 Jan introduced Linda of northern British Columbia to Lori of Southern California via email. It is a small world with no boundaries after all, especially on Bowen Island. Much storytelling ensued. 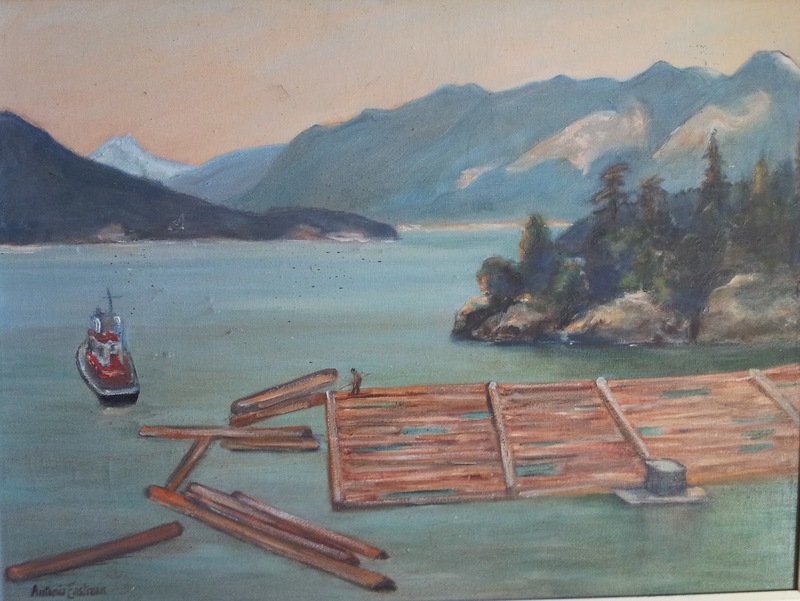 More Bowen Island history surfaced for Jan and light was shed on the secretive identity of the artist Thomas had commissioned to paint his Langlois Bay. 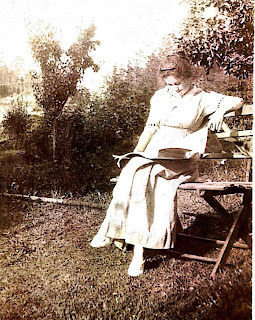 Linda’s grandmother, Alma, had grown up on Bowen after moving from Detroit. Thomas, being Alma's cousin, was raised in her household. They were both friends with Mack Eastman from their childhood in Detroit, who visited her family on the island. 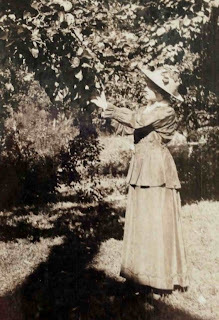 Mack married Antonia Larribe Eastman, a painter who trained in Paris and who most certainly painted the scene for Thomas. 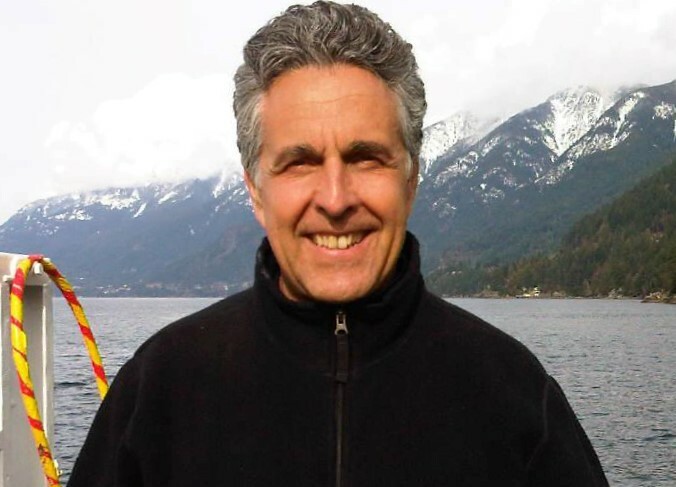 Linda mentioned that Mack’s grandson, Charles McNeill, owns a property on Bowen and might it be the Langlois Bay waterfront property? Jan called Charles in New York to introduce herself and to share all the synchronicity revolving around the painting, her meeting Linda Froese (sounds like rose), and might his grandmother be the artist? Was Charles the link to solving the mystery artist? Jan, Linda and Charles arranged a meeting on Bowen and were delighted to discover their interconnections, all starting with the painting of Langlois Bay. Charles Ian McNeill traveling to Bowen Island. 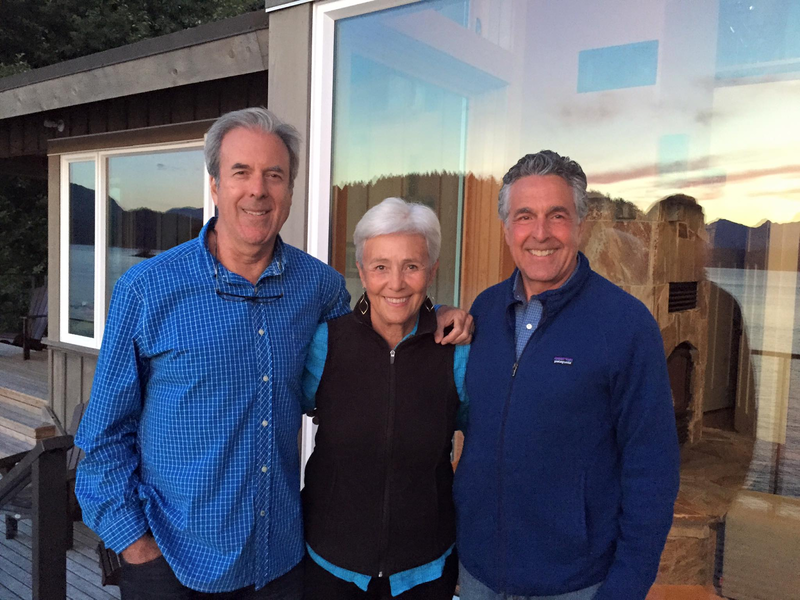 That's how Jan and Charles met, and later formed a partnership where Jan would manage the two vacation rentals on his family’s property. The Eastman properties were likely part of the land holdings sold by Thomas T. Langlois but the location is actually a few lots south of Langlois Bay, on the other side of the Mt. Gardner dock. Did Mack, Antonia, and Alma arrange these new friendships from the other side? “Most of the paintings in the cottage were done by my grandmother, Antonia Larribe Eastman, born and raised in Paris, and a highly accomplished painter who studied with Fernand Léger. The furniture was also painted by hand by Antonia. My grandfather, Samuel Mack Eastman, discovered this spot on Bowen Island in 1918 when he came to recuperate from an injury sustained in World War I while serving in Canada’s army. He liked it so much that he bought this acre of oceanfront property for $300 that same year! Mack and his wife Antonia built a cabin here and my mother, Isabelle, spent her early summers here from the 1920s on, and all of the summers of her later years. This was my mother’s favourite spot on Earth. 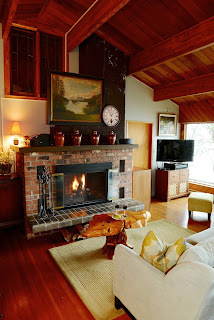 The new cabin was built around 1950 and continues to serve us well.